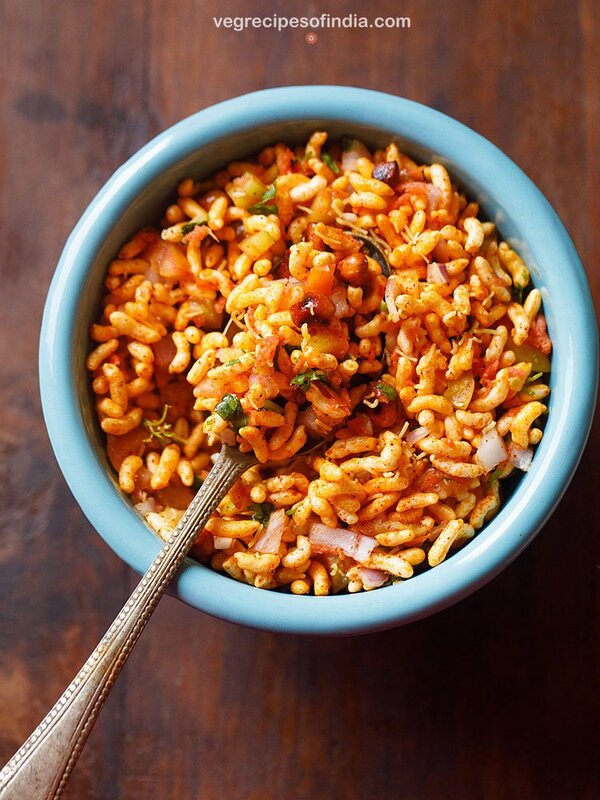 churumuri is a tasty vegan & gluten free puffed rice snack that is also a street food in karnataka. there are many versions of making churumuri across karnataka. churumuri is very easy to make and gets done in less than 15 minutes. churumuri recipe with step by step pics. 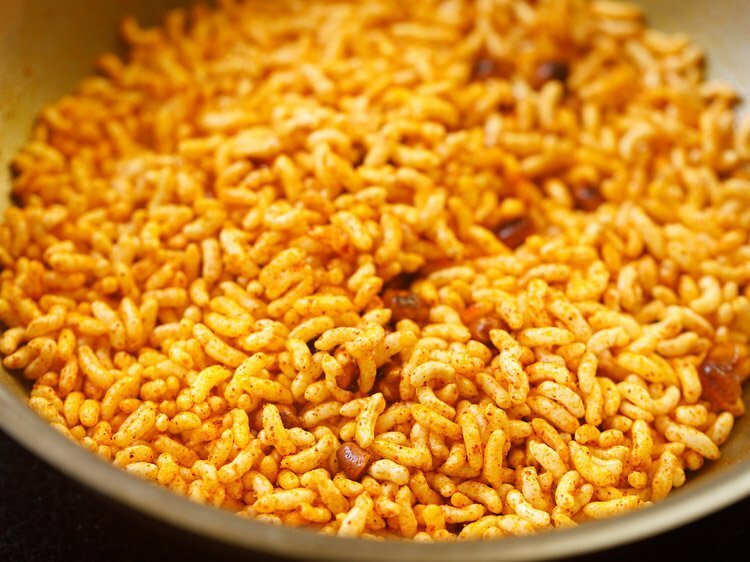 churumuri is a puffed rice snack that is also a street food in karnataka. there are many ways churumuri is made across karnataka varying from region to region. 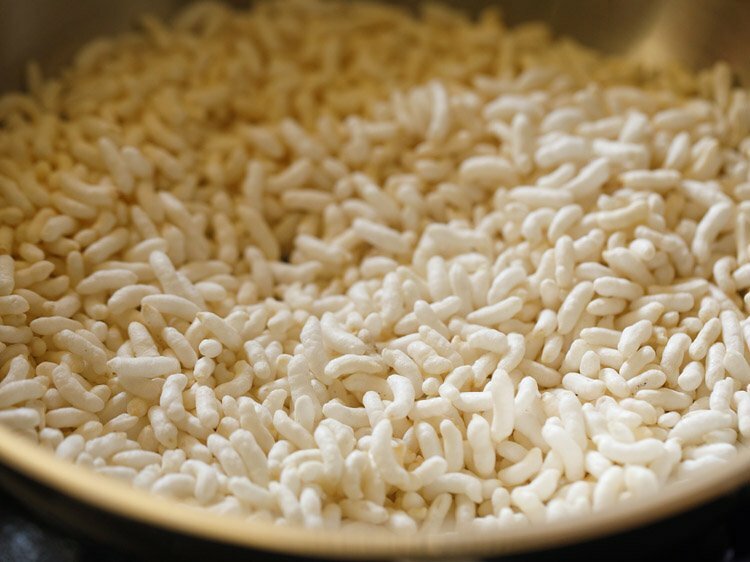 puffed rice is also called as mandakki in kannada language. 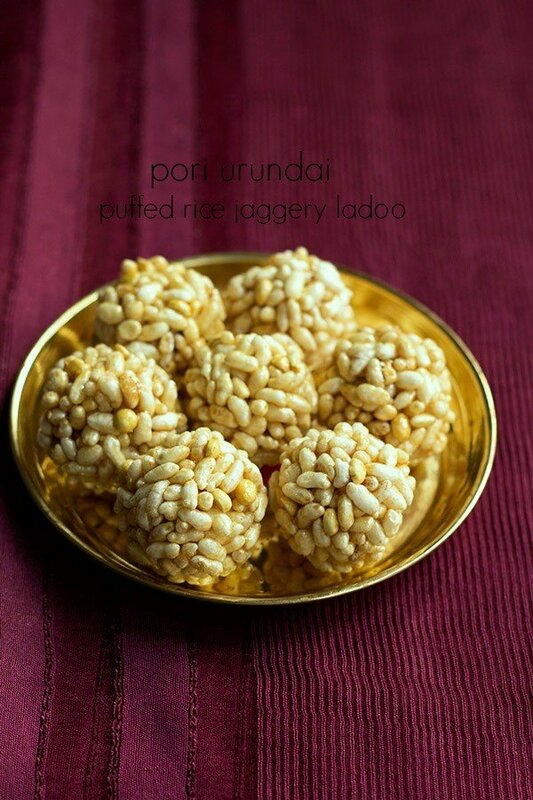 dry and wet snacks made from puffed rice are popular all over india. whereas in western india, bhel puri is popular. 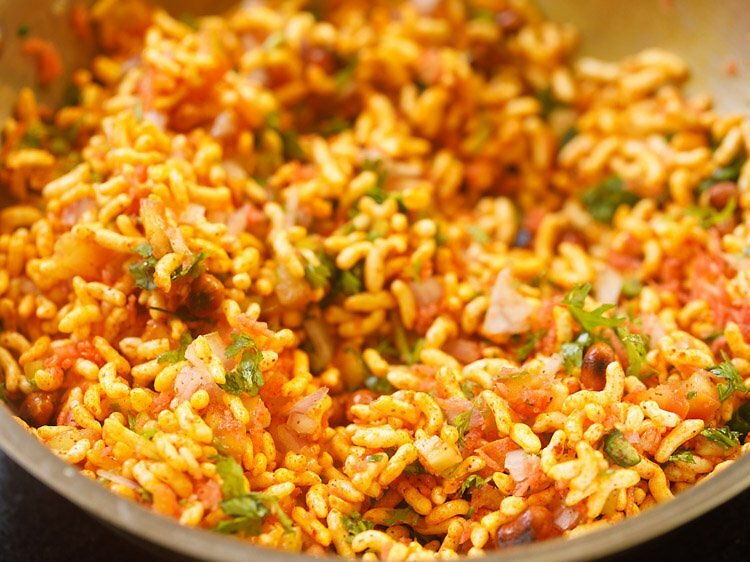 in eastern parts of india, there is jhal muri. making churumuri is very easy and within 15 minutes you are all sorted to serve. unlike bhel puri, one does not need to make spicy and sweet chutney for churumuri snack. you don’t even need to boil potatoes. i make churumuri pretty often than making bhel puri for evening snacks when i am short of time. 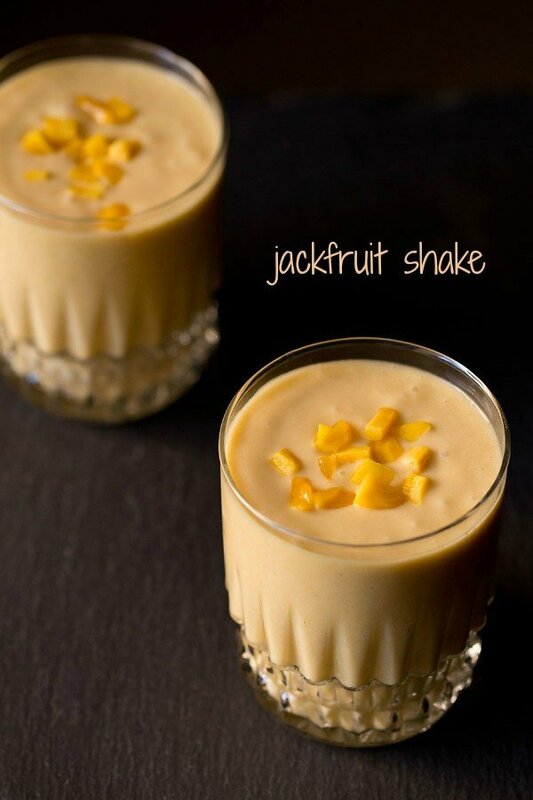 it is tasty, healthy as well as filling. i am sharing a quick (read fatafat in hindi) version of churumuri. one which i make on occasions. one of the main ingredients in karnataka style churumuri is coconut oil. now this coconut oil simply elevates the entire taste of churumuri and imparts a great taste. while mustard oil is used in jhalmuri, coconut oil is added in churumuri. if you do not have coconut oil, then please skip it. though an important flavor profile will be missing. other oils simply won’t give you that taste and flavor. when using coconut oil, please do use edible coconut oil and not the coconut oil that is used for hair. edible coconut oil is easily available on amazon. 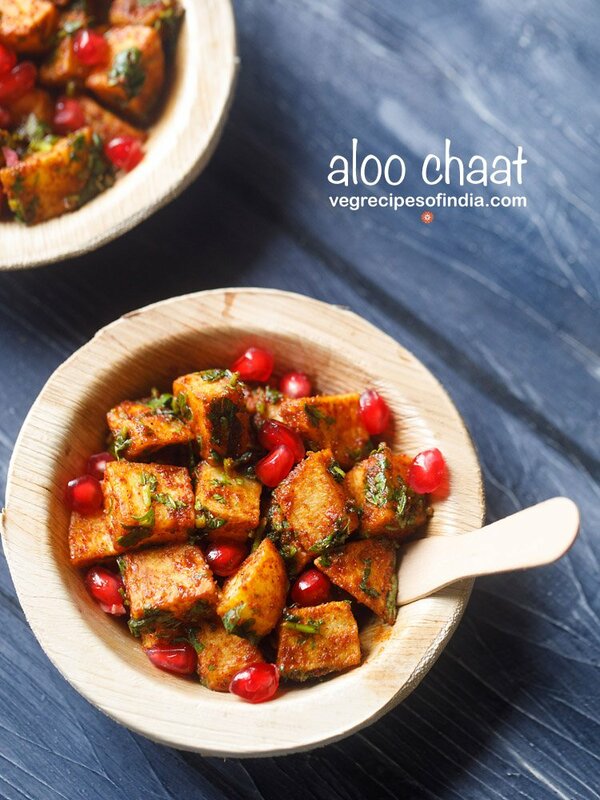 this churumuri recipe is spicy, tangy and crunchy which you will like. churumuri has a melange of veggies like finely chopped onions, tomatoes and grated carrots along with some crunchy peanuts and spiced with red chilli powder. for a tang tasty lemon juice is added. i also add some finely chopped green chillies which you can skip. 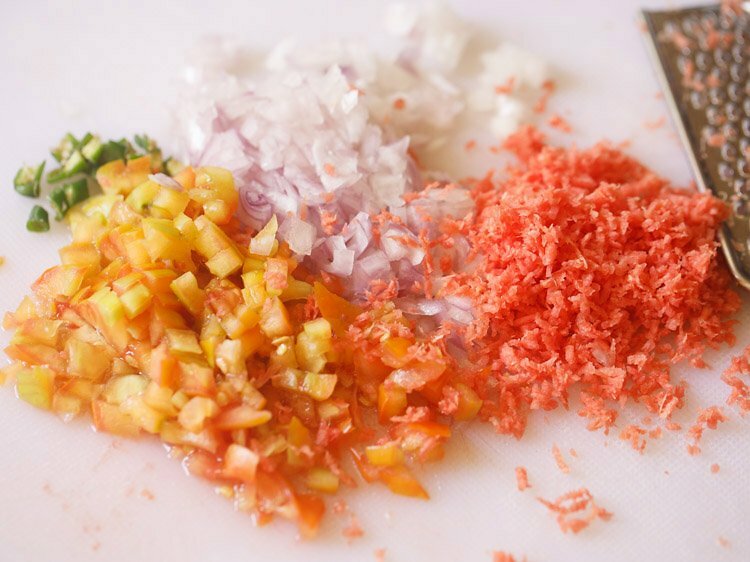 in mango season, finely chopped raw unripe mangoes can also be added. you can even add cucumber. 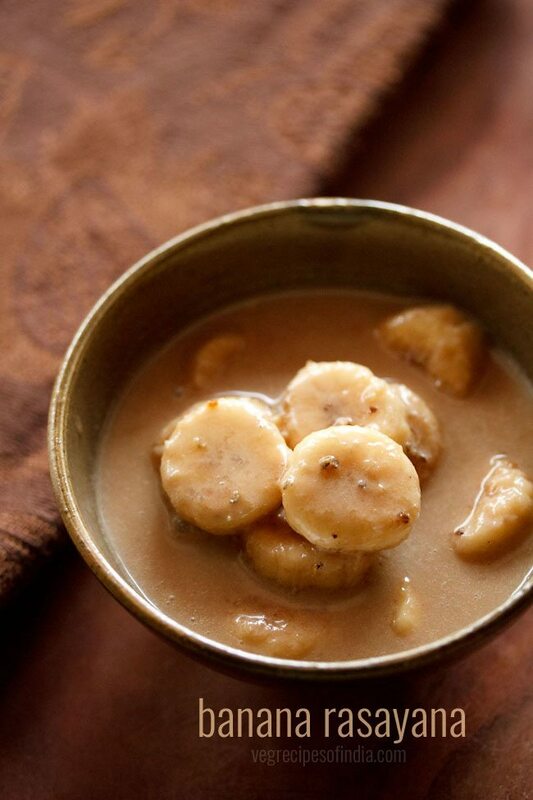 with a varied amount of ingredients added in it, churumuri makes for a tasty evening snack. peel, rinse and finely chop the onion & tomato. rinse, peel and grate 1 small carrot. rinse and finely chop 1 green chilli and some coriander leaves. keep aside. 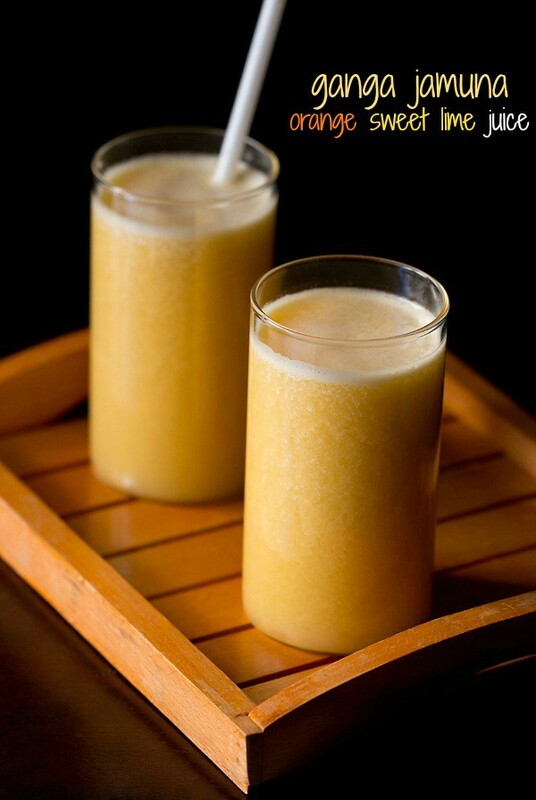 in the mango season, you can also add 1 to 2 tablespoons of finely chopped raw unripe green mango. the next step is to lightly roast the puffed rice. heat a pan or kadai. keep flame to low or medium-low. add 2 cups puffed rice. keep flame to a low or medium-low and stir often for 2 to 3 minutes. 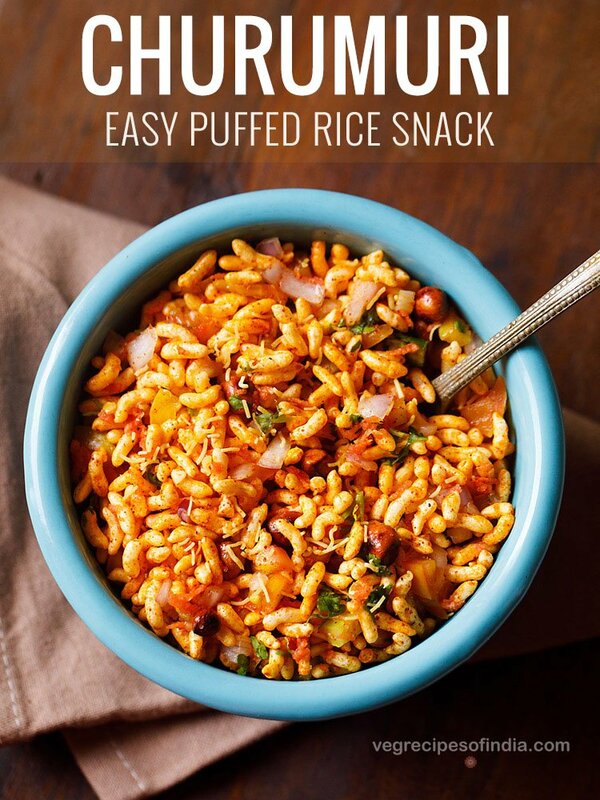 roast puffed rice grains till they are crispy and crunchy. do not brown the puffed rice. place the pan with the puffed rice on your kitchen counter. sprinkle 1 teaspoon kashmiri red chili powder and 2 to 3 pinches turmeric powder. also add 1 tablespoon coconut oil and ¼ cup roasted peanuts or masala peanuts or congress kadlekai (bangalore style spicy roasted peanuts). season with ¼ to ⅓ teaspoon salt or add as per taste. mix the coconut oil, spice powder and salt with the puffed rice evenly. mix very well. the coconut oil will melt with the heat from the roasted puffed rice. 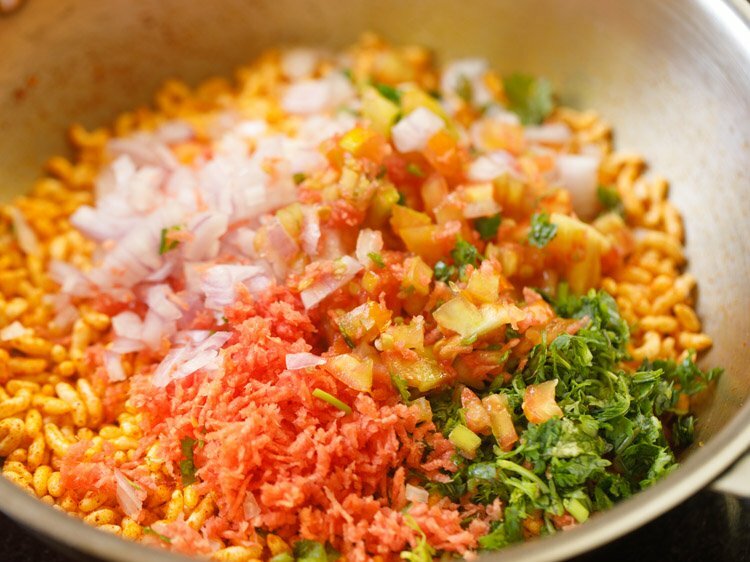 now add the finely chopped veggies, green chillies and coriander leaves. for small kids you can skip or add less of the kashmiri red chilli powder and green chillies. quickly add ½ to 1 teaspoon lemon juice. you can even squeeze lemon juice directly from halved lemons. you can add less or more lemon juice as per your taste buds. mix quickly and serve churumuri straight away. 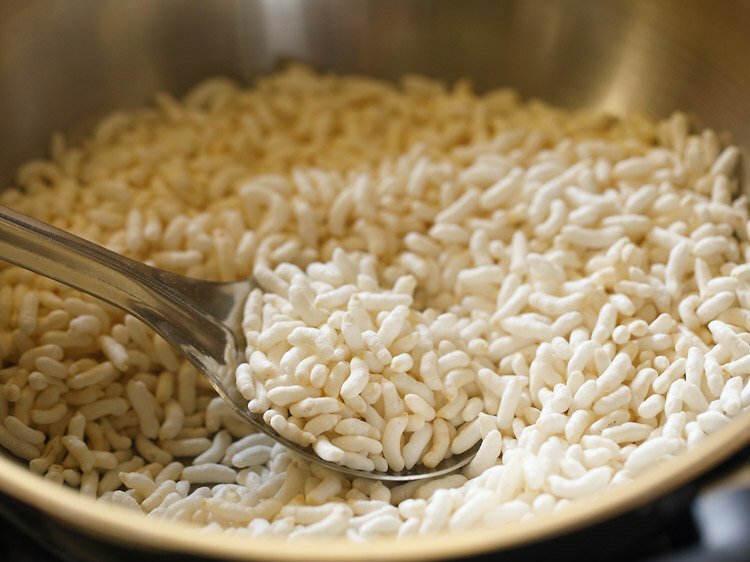 if you serve after some minutes, the puffed rice becomes soggy. while serving churumuri you can sprinkle some sev and a few coriander leaves. churumuri recipe can be easily halved or doubled. you can add less or more quantity of red chilli powder. you can skip green chillies if you want. skip coconut oil if you do not have it. lemon juice can be added less or more as per your taste buds. black salt can also be added with regular salt. 1. peel, rinse and finely chop 1 small to medium sized onion. also, rinse and finely chop 1 medium sized tomato. rinse, peel and grate 1 small carrot. also, rinse and finely chop 1 green chilli and some coriander leaves. keep aside. 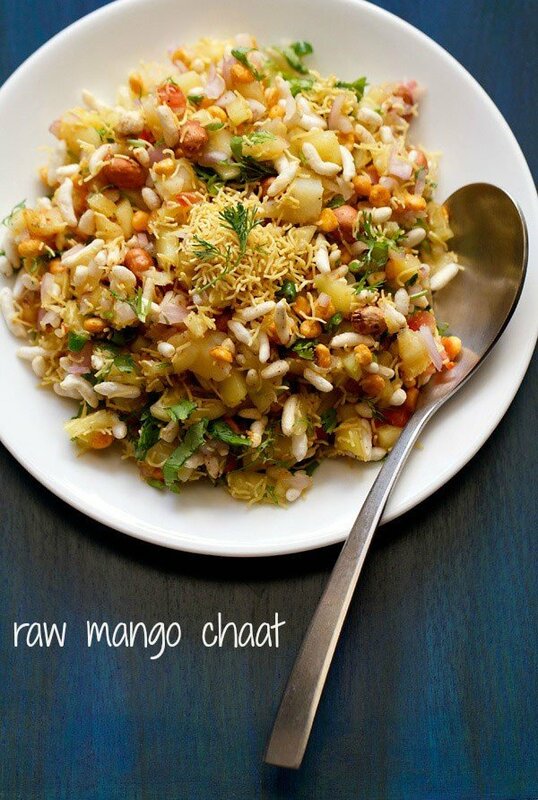 in the mango season, you can also add 1 to 2 tablespoons of finely chopped raw unripe green mango. use a fine grater for grating carrot. 2. the next step is to lightly roast the puffed rice. heat a pan or kadai. keep flame to low or medium-low. add 2 cups puffed rice. 3. keep flame to a low or medium-low and stir often for 2 to 3 minutes. 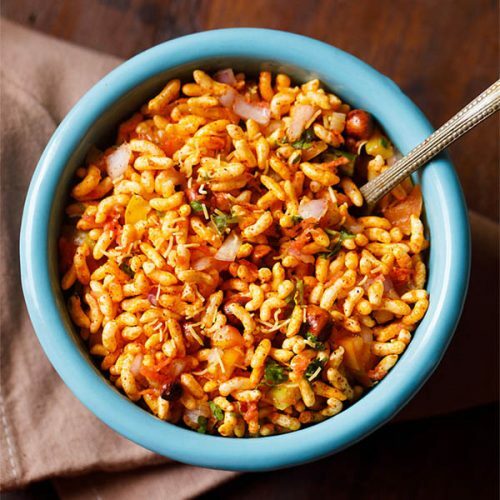 4. roast puffed rice grains till they are crispy and crunchy. do not brown the puffed rice. 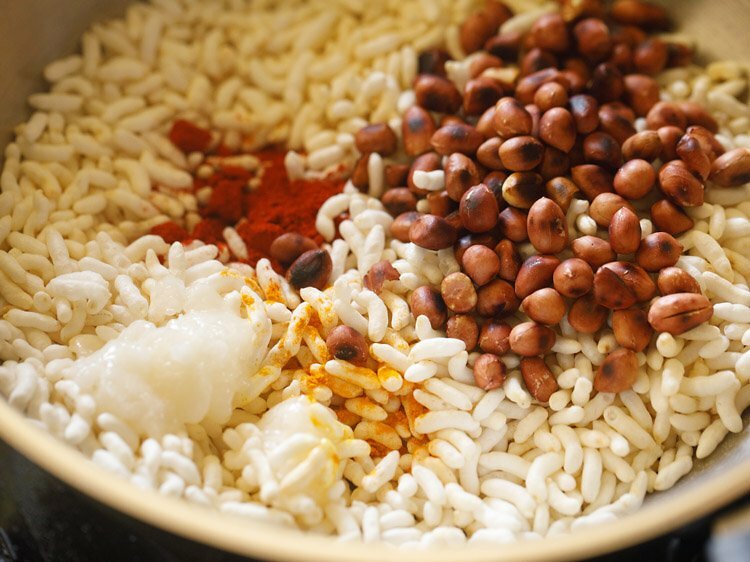 5. place the pan with the puffed rice on your kitchen counter. sprinkle 1 teaspoon kashmiri red chilli powder and 2 to 3 pinches turmeric powder. also, add 1 tablespoon coconut oil and ¼ cup roasted peanuts or masala peanuts or congress kadlekai (bangalore style spicy roasted peanuts). if using any other type of red chilli powder, then add ¼ to ½ teaspoon of it depending on its spiciness and pungency. 6. season with ¼ to ⅓ teaspoon salt or add as per taste. 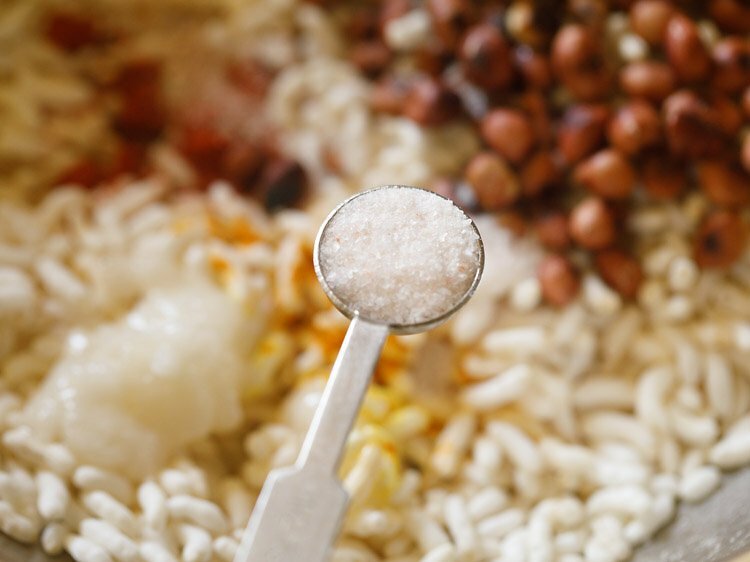 7. mix the coconut oil, spice powder and salt with the puffed rice evenly. mix very well. the coconut oil will melt with the heat from the roasted puffed rice. 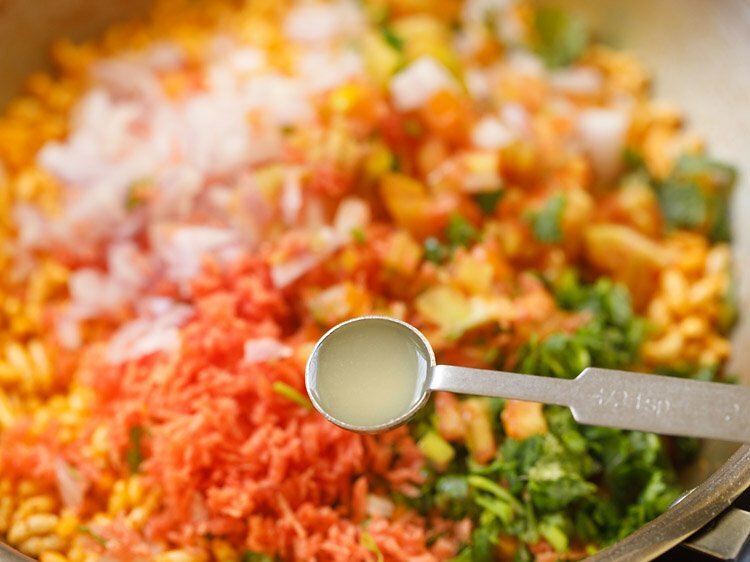 8. now add the finely chopped onions, tomatoes, green chillies, grated carrots and 2 to 3 tablespoons chopped coriander leaves. for small kids you can skip or add less of the kashmiri red chilli powder and green chillies. 9. quickly add ½ to 1 teaspoon lemon juice. you can even squeeze lemon juice directly from halved lemons. you can add less or more lemon juice as per your taste buds. 11. serve churumuri straight away. 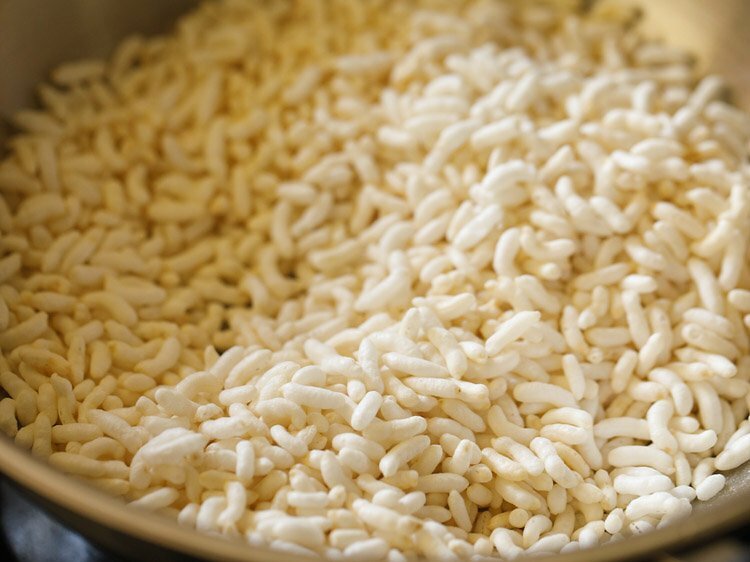 if you serve after some minutes, the puffed rice becomes soggy. while serving churumuri you can sprinkle some sev (fried gram flour vermicelli) and a few coriander leaves. thanks for the info and glad you liked the recipe.